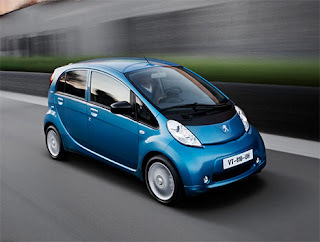 Peugeot’s new Ion electric car, based on the Mitsubishi i-Miev, will be available on a four-year 40,000 mile lease contract when it goes on sale in the UK towards the end of this year. Peugeot will charge a monthly payment of £415+VAT, which includes lease of the vehicle and battery pack, full warranty cover for the period of the lease, servicing and full maintenance for four years and 40,000 miles. Private buyers are a low priority. The Ion is targeted mainly at the public sector plus transport and energy sector organisations, leasing companies and large corporate fleets. At the end of the lease, Peugeot will take the cars back to re-lease to a second user on another four-year contract at a reduced cost. Peugeot believes running the Ion would bring a potential £5,150 annual saving over a conventional internal combustion powered car. Peugeot believes the success of the European electric vehicle market will be very dependent on tax incentives at the time of purchase or during ownership, the introduction of infrastructures, possible ecological constraints in terms of urban traffic and the fluctuating price of fossil fuels. The electric vehicle segment is expected to grow gradually, representing 4% to 5% of the total European market by the year 2020. Ion production will build gradually, rising to a projected total of 50,000 by the year 2015.